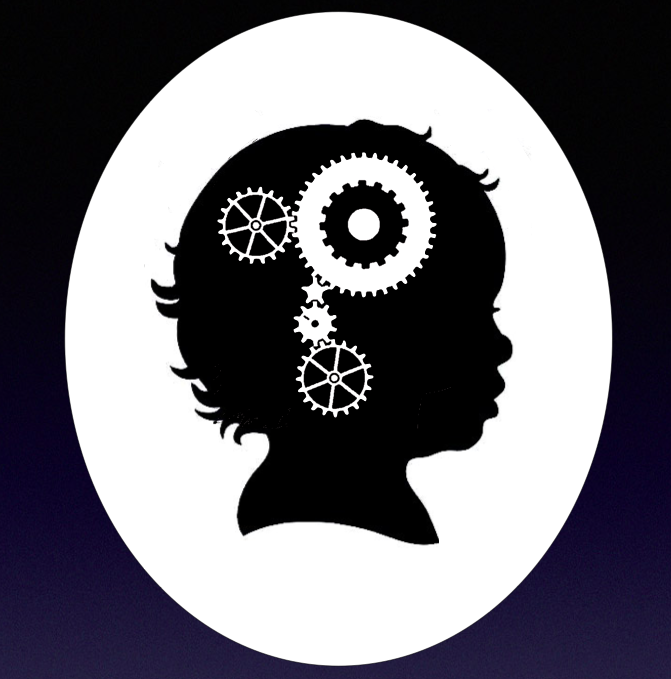 The Paradox Lab is an educational center with the mission of engaging kids of all ages in the art of discovery through critical thinking and creative problem-solving. We aim to share the intrinsic joys of inquiry as well as to nurture the development of higher-level thinking skills empowering them to be aware, determined, expressive members of their communities. “If you’re not prepared to be wrong, you’ll never come up with anything original. And by the time they get to be adults, most kids have lost that capacity. They have become frightened of being wrong.” [Sir Ken Robinson from his TED 2006 talk]. Stanford’s Pre-collegiate Institute generously hosted our Puzzles About Consciousness program in Winter of 2017 and our Puzzles About Knowledge program in Winter of 2018. This enrichment center was created in 2012 in Tucson, Arizona. It moved to San Francisco in 2016 and has been enriching Bay Area youth. We hope to expand and soon create a physical space where we will house artwork, illusions, books, and other philosophical stimuli and hold workshops that facilitate inquiry. In our programs, students learn the essential skills for participation in a community of inquiry. That is, they learn how to engage in the social and intellectual practice of exploring a question in a group, caring for the inquiry and its members, and exploring a space of hypotheses with humility and openness. Most of the topics we explore have a philosophical component, but many are also scientific, as insights from the sciences often inform philosophical explorations and vice-versa. Our methods typically involve doing thought-experiments to collect observations about hypothetical cases that support or falsify a claim, and exploring the logical consequences of various positions. In our discussions, students are encouraged to label their contributions to the inquiry (hypothesis, reason, counter-example, analogy, distinction, clarification, etc.) and fill out Inquiry Diagrams to map out the discussion. Students develop analytical skills that generalize to intellectual explorations across philosophy and the sciences, as well as the fields of history, mathematics, law, detective work, design, and most any endeavor to explore possible solutions to a problem. In this program, students engage in philosophical inquiry into classic and contemporary puzzles about consciousness. These questions include: Do colors look the same to you as they do to other people, and what about flavors and the sensation of pain? Could robots ever have conscious experiences, and if so what might they be like? What is it about human brains that allows us to have conscious experiences? Is there a way for science to someday allow us to know what the experiences of others are like? Each session begins with a game of Name That Fallacy (in which students have to guess the reasoning fallacy illustrated by a scenario). Then there is a short lesson on a topic having to do with vision, taste, multi-sensory perception, attention, self-awareness, brains, or robots, followed by an inquiry on a question chosen either by the students or the instructors. This program was inspired by the book Sleights of Mind, about the neuroscience of magic. Students become critical thinkers as the see many of the ways in which our minds are fooled by magicians and optical illusions. Students also learn about the workings of the brain by looking at its boundries as exploited by magicians, from sensation and perception, to attention, memory, and social cues, and even biases in our assumptions about probability. Simple magic tricks are revealed and students practice performing and creating them as part of their mastery over the mind's natural errors. What is knowledge? What do illusions, magic tricks, and cognitive biases reveal about our brains? What do babies know and how do they learn? Can robots ever have knowledge, and if so what can they know? In this program, students engage in philosophical inquiry on these classic and contemporary puzzles about knowledge. Each session begins with a game of Name That Bias (in which students have to guess the cognitive bias illustrated by a scenario). Then there is a short lesson on a topic having to do with perception, reasoning, memory, babies, or robots, followed by an inquiry on a question chosen either by the students or the instructors. Puzzles about logic, language, and truth. This program uses Raymond Smullyan's puzzles about Knights and Knaves as a fun way for kids to sharpen their critical thinking skills. On the Island of Knights and Knaves, knights can only speak the truth and knaves can only speak falsehoods. For example, in one puzzle, a visitor to the island meets inhabitants A and B. Inhabitant A says, "All of us are knaves" and inhabitant B says, "Exactly one of us is a knave". Students must deduce from this information whether B is a knight or a knave. Ultimately, the puzzles lead kids into an understanding of Gödel's incompleteness theorem about language and truth. "I want to thank you for giving me an opportunity to participate in the Stanford Humanities Circle. I really enjoyed each and every session and learned a lot about our brain and its use in our daily lives. I enjoyed learning about psychology and human behavior. As discussed, I am going to continue expanding my knowledge by reading the material you sent to us." -Middle school student from Puzzles About Knowledge program. Coming soon to the Red Victorian on Haight Street in San Francisco!